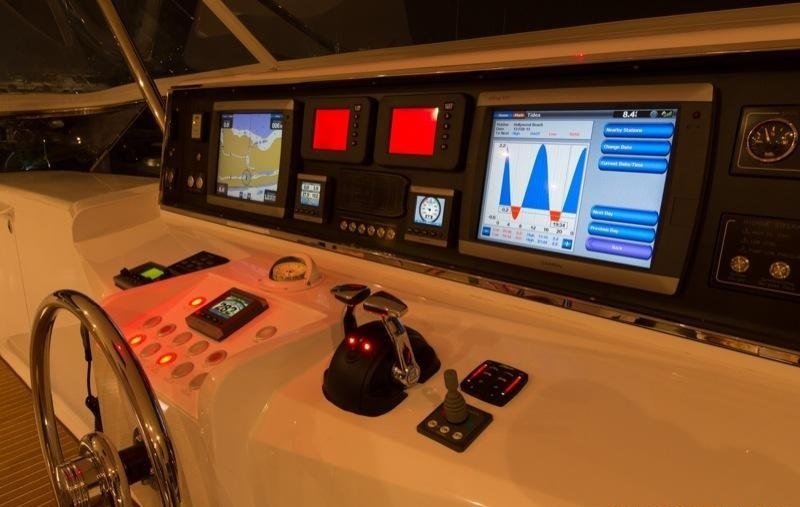 Motor yacht LA MANGUITA was built by Horizon in 2013 and is a catamaran design. 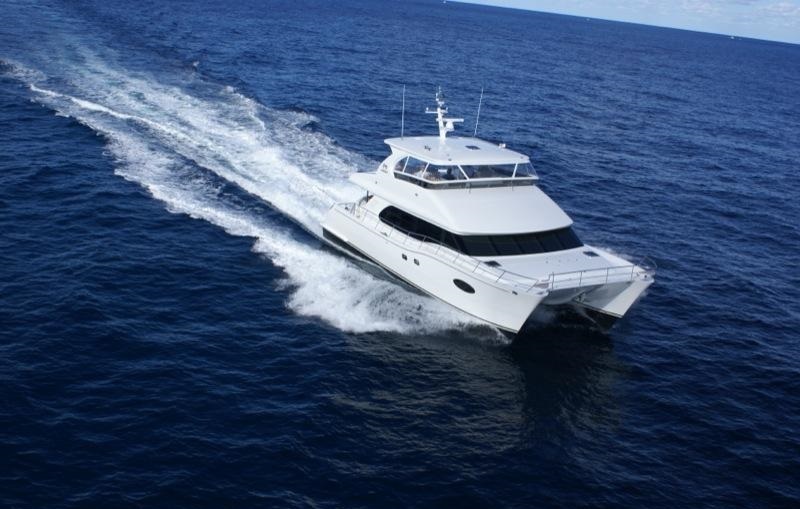 The multi hull M/Y LA MANGUITA offers accommodation in 2 double and 1 twin en-suite cabins. 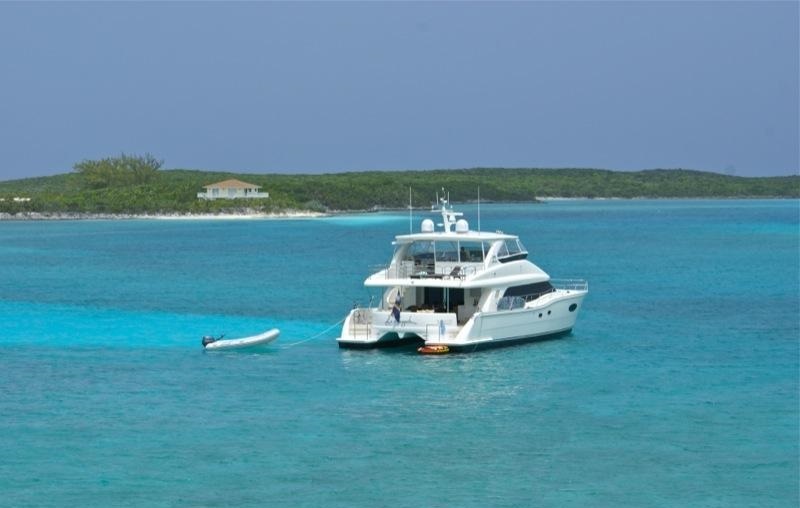 She is available for crewed charters in the Caribbean during the winter and the Bahamas in the summer. 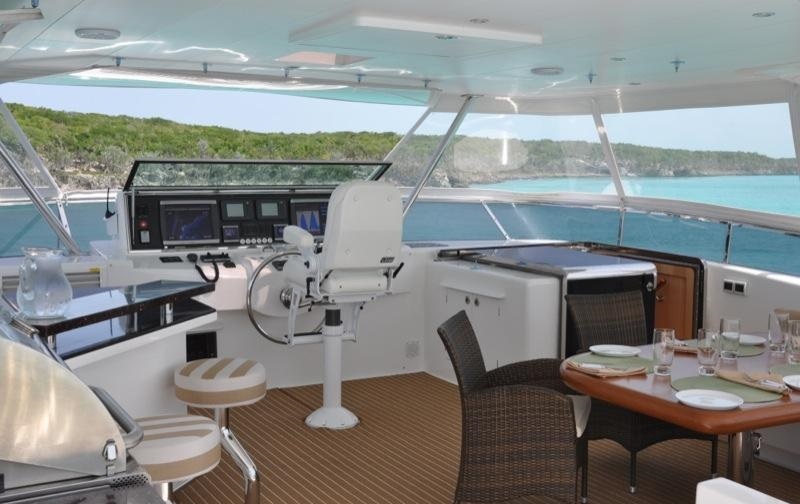 The luxury Horizon yacht LA MANGUITA measures 18.3m (60ft) and comes with a dedicated crew of 2. 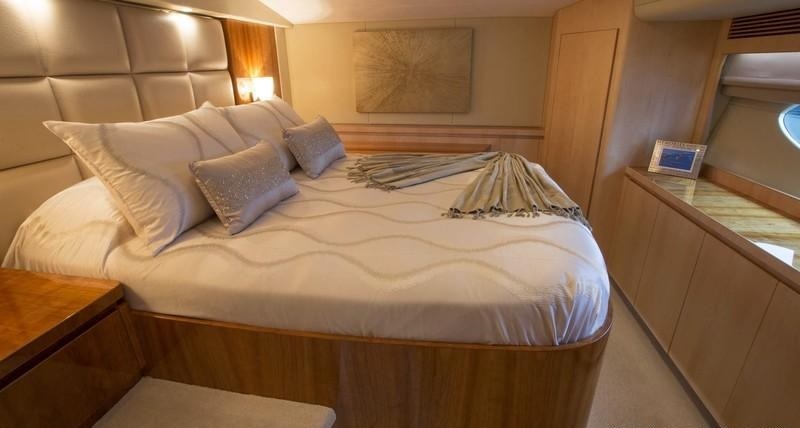 Charter yacht LA MANGUITA has an elegant interior of beautifully finished wood floors, subtle cream panels and plush leather soft furnishings. The décor is minimalistic, yet comfortable and welcoming. 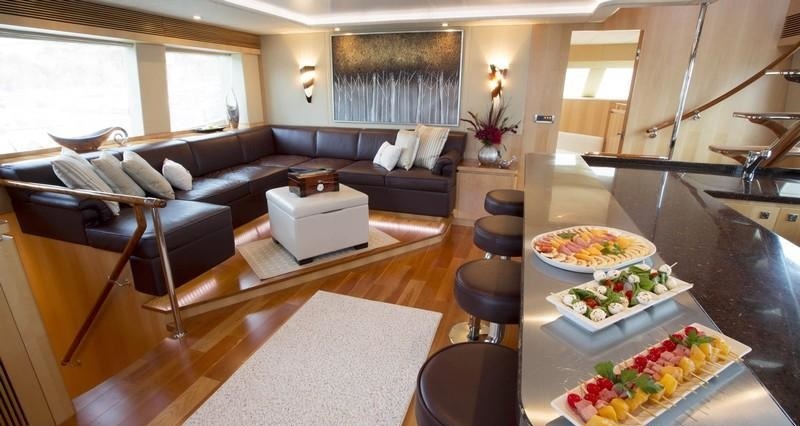 The salon features a large lounge area with L shaped sofa, coffee table and entertainment. 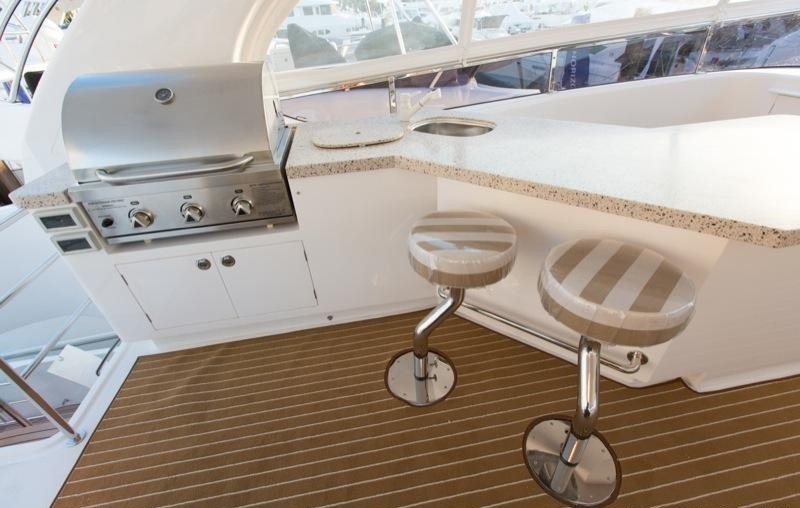 The galley is upon entering the salon, offering a wet bar with fitted stools, ideal for entertaining. 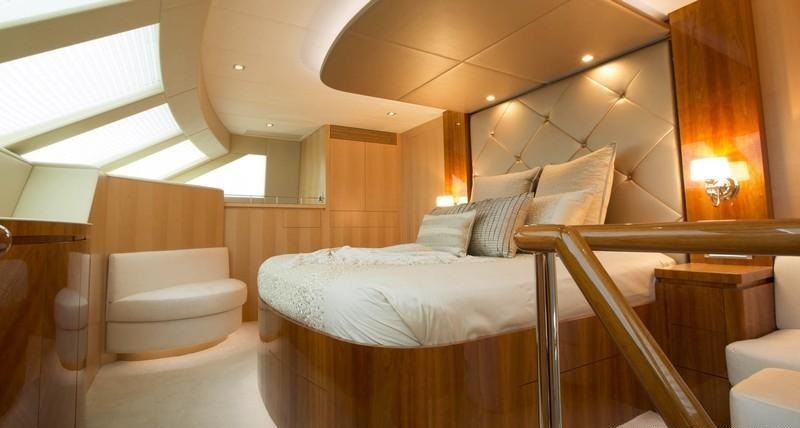 Forward of the salon is the full beam master cabin, with king size bed, sofa, vanity and en-suite facilities. Further guest accommodation is in the port and starboard hulls. 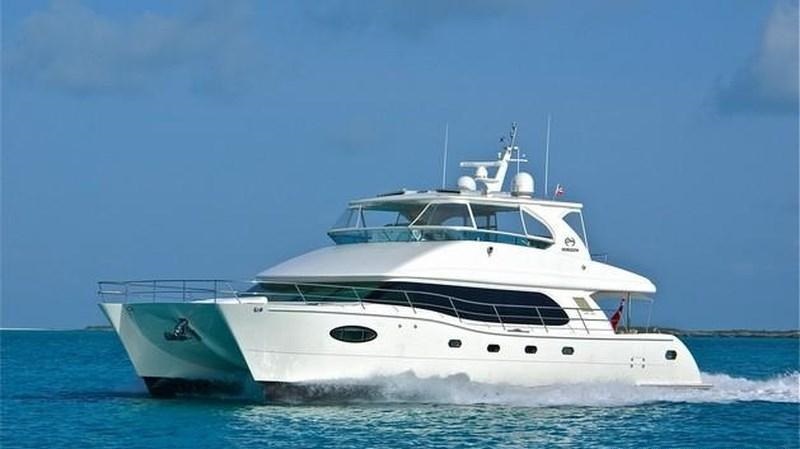 Power Cat LA MANGUITA is the perfect yacht for a Bahamas charter, offering ample exterior decks to relax and entertain. 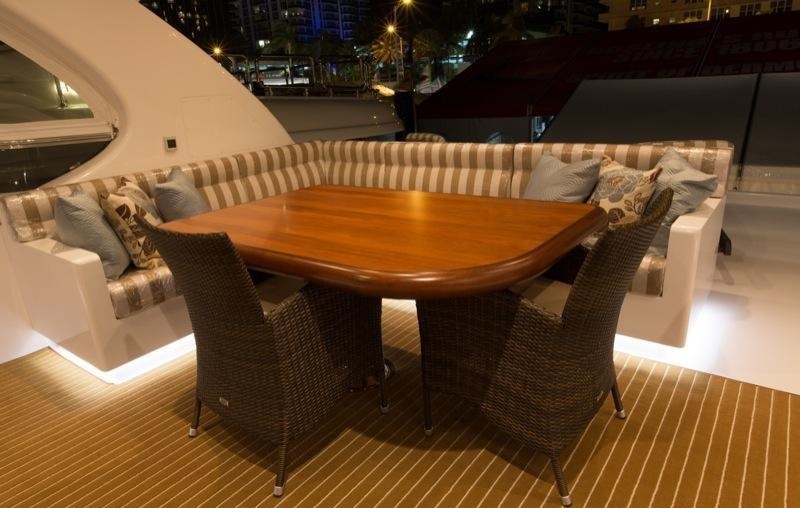 The aft deck is adjacent to the salon and shaded by the upper deck. 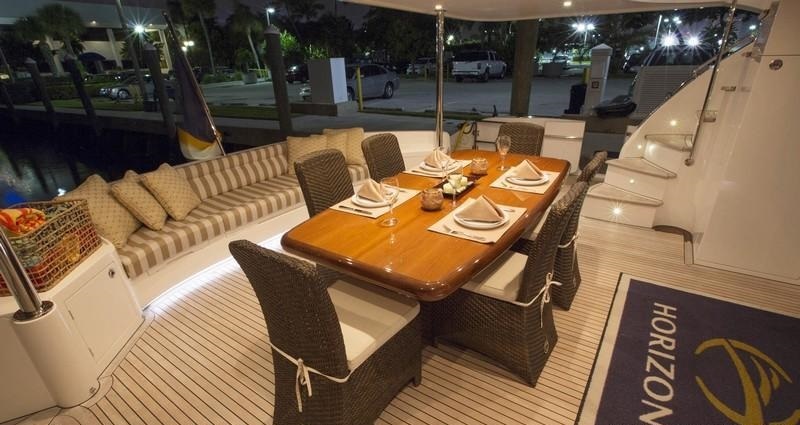 Here guests can dine alfresco, sit back and enjoy the large aft seating space, watch TV on the flat screen and keep an eye on the water enthusiasts. 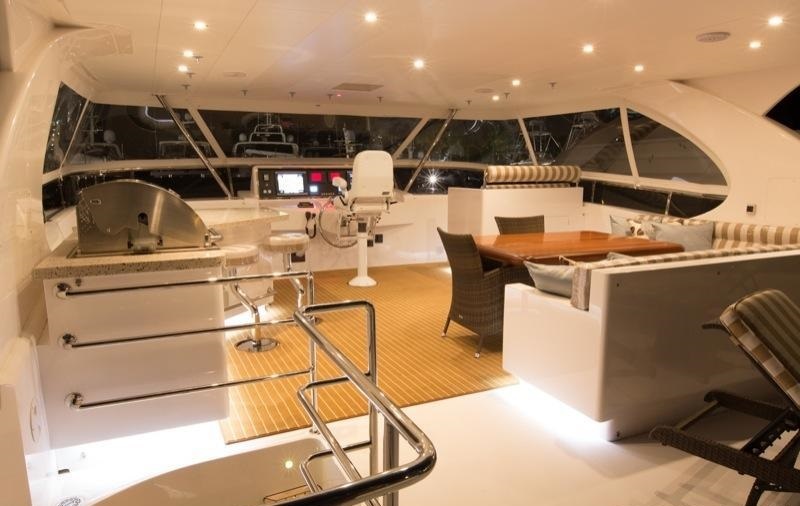 Wide decks wrap around the LA MANGUITA catamaran, leading to a spacious foredeck. 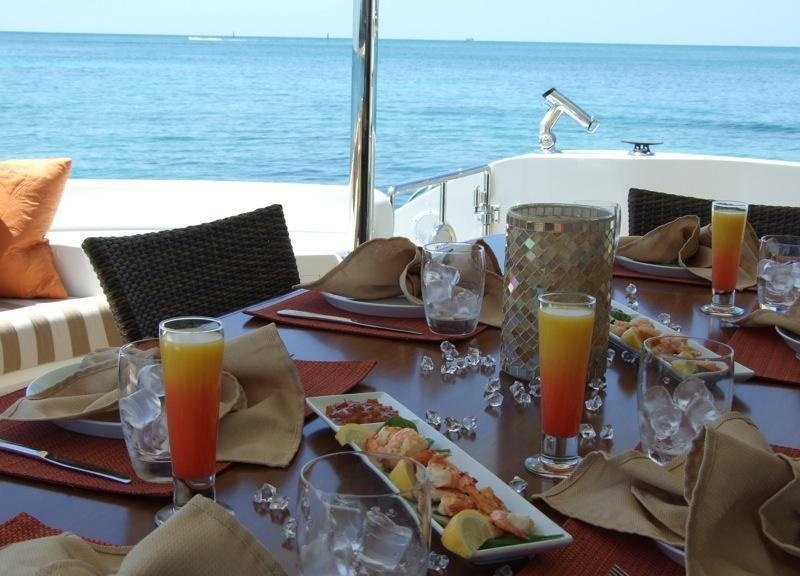 Above the main deck, the upper deck boasts a generous flybridge, complete with an additional alfresco dining option, ample seating, wet bar with fitted stools, large BBQ and chaise lounges, a great spot to spend a sunny afternoon or balmy evening. 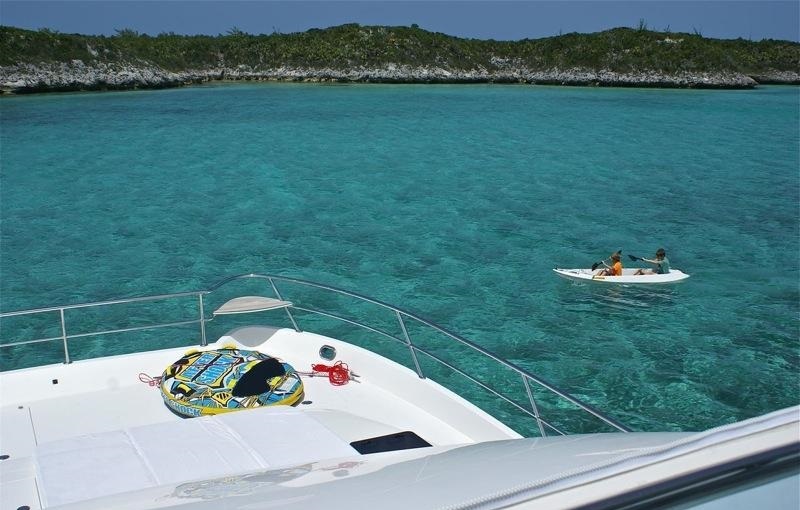 Crewed charter yacht LA MANGUITA offers deluxe accommodation for up to 6 charter guests, in 3 en-suite cabins. The master suite is on the main deck forward of the salon and features a king sized center lined bed, love seat, vanity and en-suite with shower and electric head. 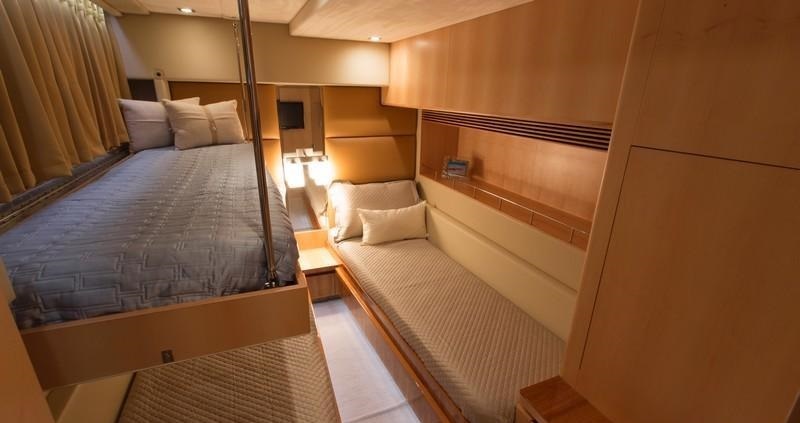 The VIP cabin is forward on the starboard side, offering a queen size bed and en-suite with shower and electric head. A further guest cabin is amidships on the port side, with side by side twin beds, an upper Pullman berth and en-suite facilities, with shower and electric head. 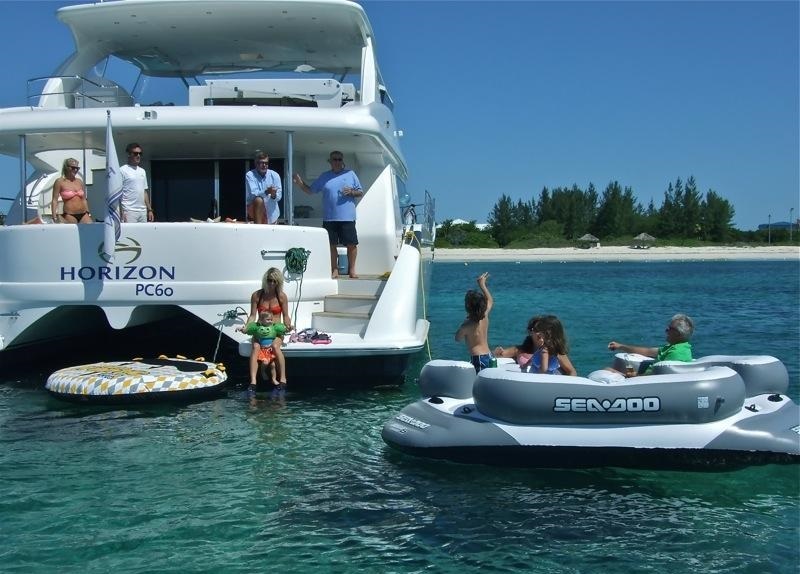 All 3 cabins are fully air conditioned. 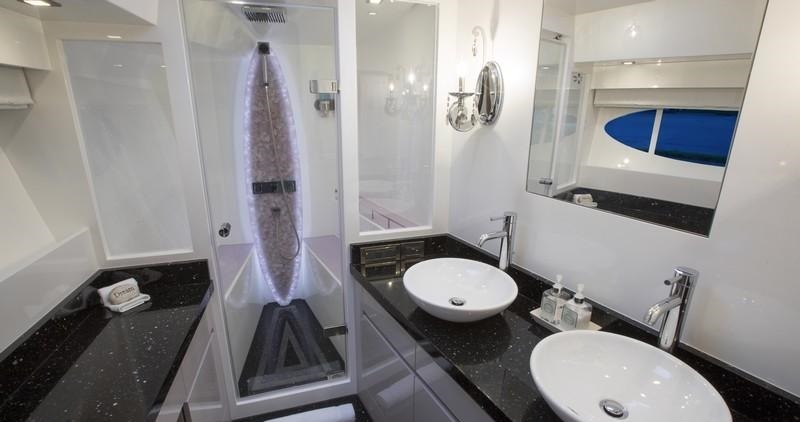 The crew has a separate cabin, with private en-suite facilities. Yacht LA MANGUITA has a Dinghy: RIB / 15ft / 70Hp, Fishing equipment, Kneeboard, Air bed, Swim platform, Deck shower, Drone, iPod Dock, DVD player, Satellite television, Apple TV, DVD library, Sonos Stereo system, Barbeque, SATCOM, Diving by arrangement / rendezvous, Diving lights, Snorkeling gear.